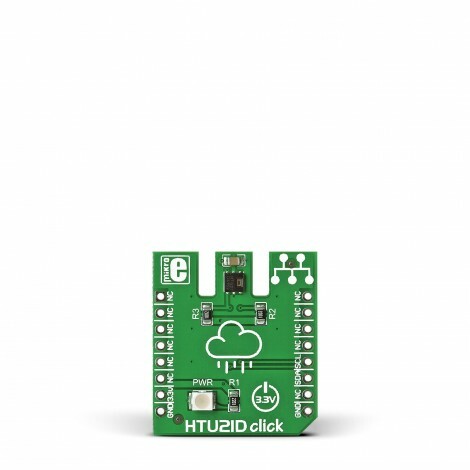 HTU21D click carries a high-precision, easy-to-use relative humidity sensor with temperature output. 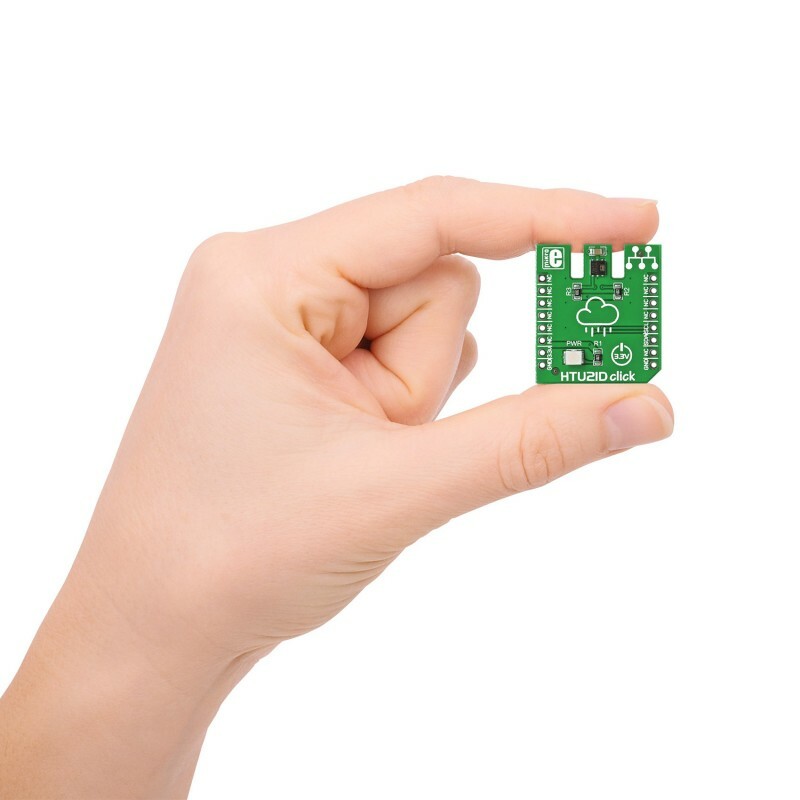 It's a great solution for quickly developing reliable environmental sensing nodes. HTU21D click carries a high-precision, easy-to-use relative humidity sensor with temperature output. 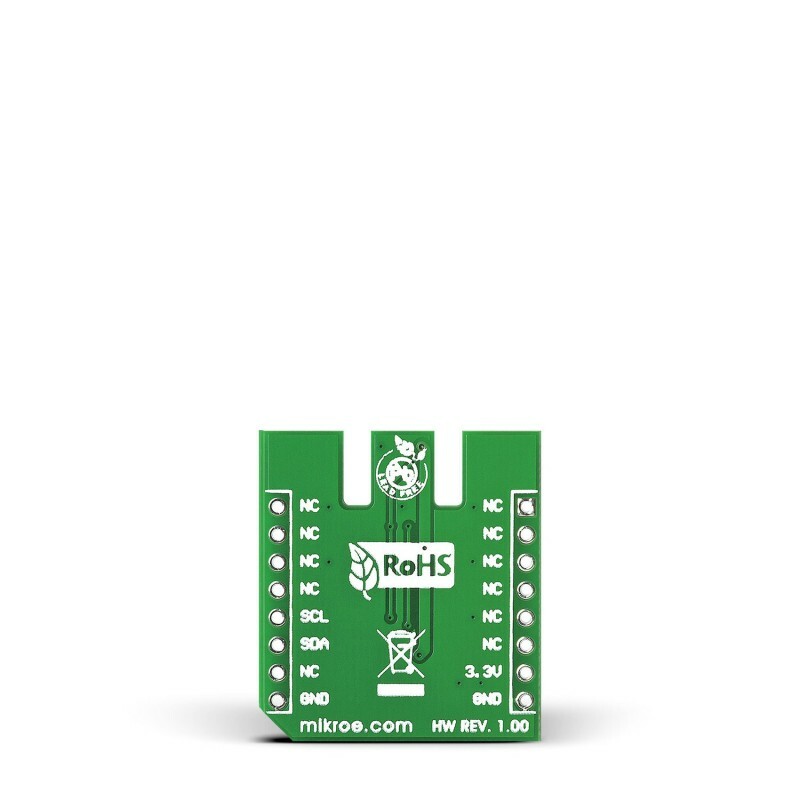 It's a great solution for quickly developing reliable environmental sensing nodes. The sensor is plug and play, requiring no calibration to use. The measurement range of HTU21D click is from 0 to 100 percents of relative humidity, and -40 to +125 degrees of Celsius. 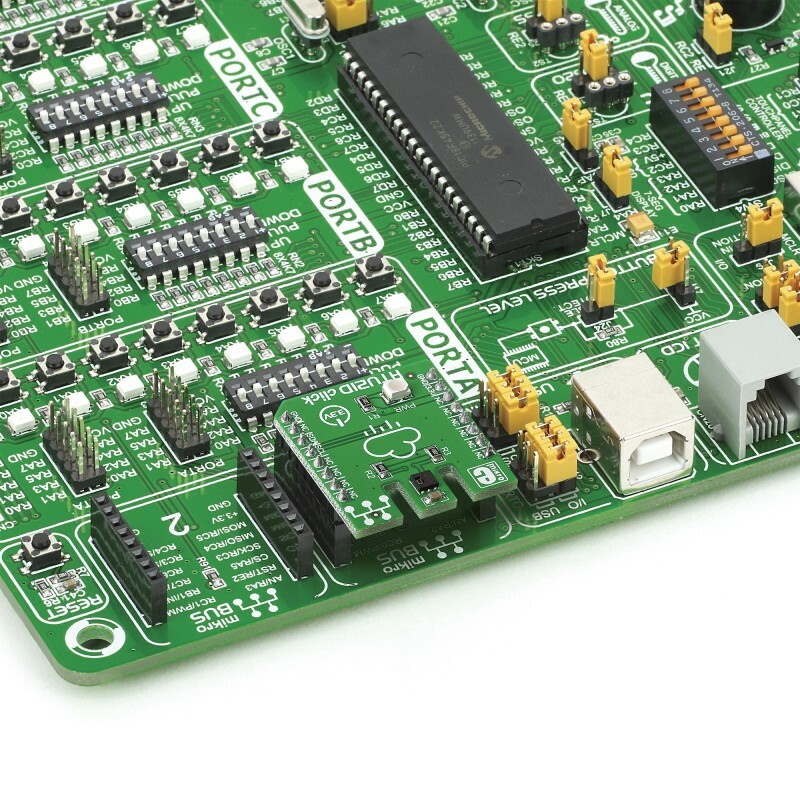 The board communicates with the target microcontroller through mikroBUS I2C lines: SCL and SDA (data). The default resolution of the signal is set to 12-bit for relative humidity and 14-bit for temperature readings. HTU21D click uses a 3.3V power supply. Applications Weather station, environmental data loggers, sensors for HVAC controllers etc.